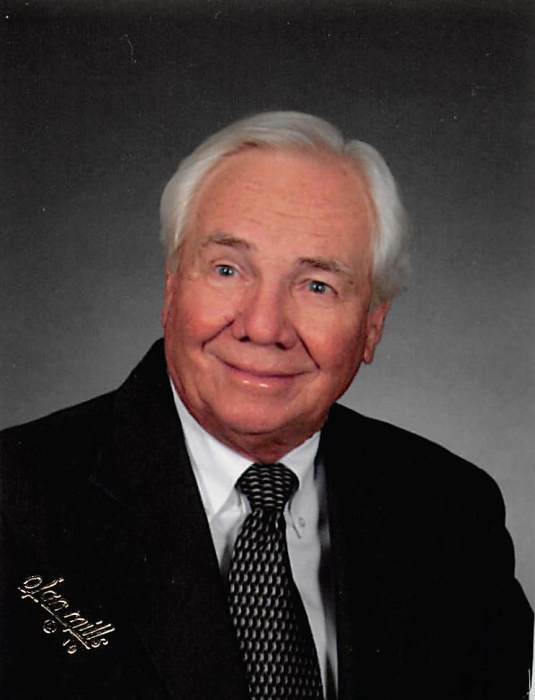 Vinton Durene Ferguson, 82, of Independence, MS passed away September 2, 2018 at his residence. He was born July 16, 1936 to Vinton Ferguson and Ruth Walker Ferguson-Wallace. He leaves his wife, Ruth Gallagher Ferguson; children, Dr. Diane Ferguson of Hernando, MS and Darlene Eubanks (Tom) of Cordova, TN; stepdaughter, Kellie Samsel (Scott) of Barton, MS; grandchildren, Walker Coghlan, Rachel Eubanks, Jack Samsel and Jorja Samsel; adopted son, Ernie Ferguson and family: Judy, Jonathan, Hunter and Julie Ann; sister, Gatha Wallace (Ray) of Baldwin, MS; brothers, Jim Ferguson (Barbara) of Senatobia, MS and Mike Ferguson (Jill) of Senatobia, MS; and stepsisters, Charlotte Wallace Blair of Senatobia, MS and Suester Wallace Sowell of N.C. He was preceded in death by his parents and brother, Joe Ferguson. He graduated from Northwest in 1954. When his father died in 1955, he left his job in Memphis to go back home to help his mother, Ms. Ruth, with the dairy and raising three young energetic brothers. His main occupations down through the years were dairy farmer and agriculture consultant. Durene became a member of the Gideons International in 1994. The Gideons are a Christian business and professional men's organization who place Bibles in hotels, hospitals, schools and institutions. The Gideons do not seek publicity, but Durene spoke in many churches over the years raising thousands of dollars to buy Bibles to be distributed over the world. He loved the Lord. While in the hospital, his wife Ruth, who he was married to 34 years, told him to be cooperative with the doctors, nurses and staff. She told him to remember that he was a Gideon! He replied that he was part Walker too. (His mother, Ms. Ruth was a Walker before she married Durene's father). He was a take charge guy and you knew how you stood with him. He loved animals. He could relate to all people and had a good work ethic and thought everyone else should have one, too. He had a soft spot for the beggar at the curb who he thought had no money. He loved his family (from children, grandchildren, brothers, sister, nieces and nephews). He was his happiest when he could load his grandchildren in the old green Lincoln with all their stuff and bring them to the farm for several days. There was always plenty of Blue Bell Ice Cream. Pallbearers for the service are Walker Coghlan of Tahoe City, California, Adam Ferguson of St. Louis, MO, Marty Ferguson of Memphis, TN, Dr. Wesley Ferguson of Starkville, MS, Christopher Goodwin of Memphis, TN, Jack Samsel of Barton, MS and Joey Wallace of Tupelo, MS. Honorary pallbearers are Mark Smith of Picayune, MS, Jimmie Sneed of Independence, MS, Ellis Blount of Independence, MS and Gideons from the Senatobia, MS camp. Memorials may be sent to Gideons International, P.O. Box 175, Senatobia, MS 38668 or to the donors choice.